Your Electrical system is the Central Nerve System of your home! Electrical fires send many people to the hospital every year and are a leading cause of home fires. For this reason, you should pay close attention to any signs your electrical outlets are beginning to malfunction. Taking care of these problems is not something you should not wait to do later. Now is the time to hire a professional electrician to look at any electrical issues. 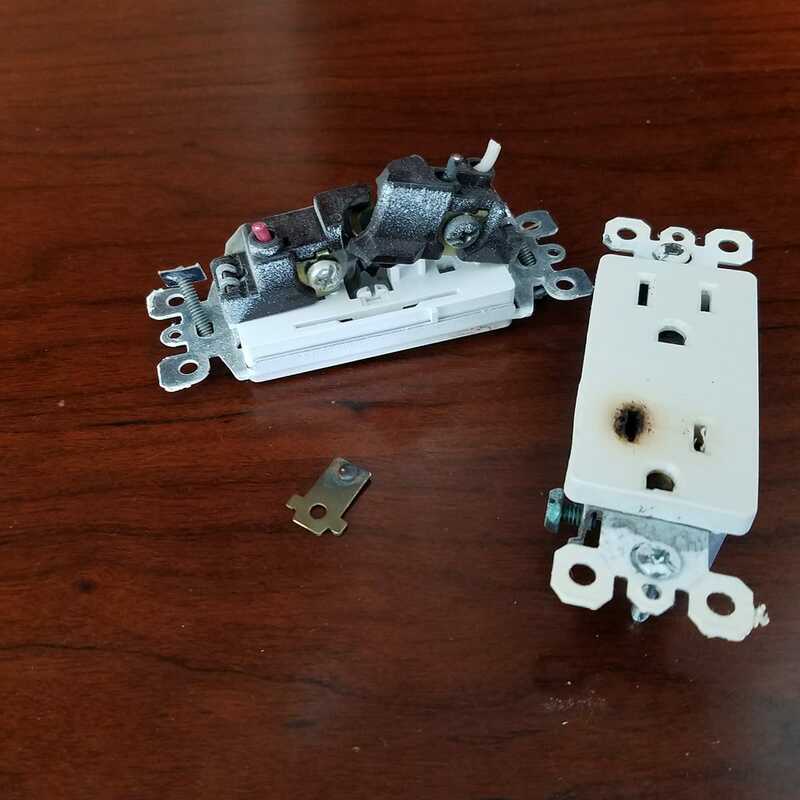 Outlets and Switches are a high use item and are prone to wear and consequent failure, unfortunately they do not always show visible signs of failure, if your house is using builder grade outlets or switches you should be aware that these are low quality, mass produced components which are prone to failure after very few years of service. What are the signs your electrical system may be about to ignite? Discoloration is one of the more significant warning signs. Yellow, brown, or black marks around the electrical plug or outlet are an indication that wiring or plastic is getting to hot. 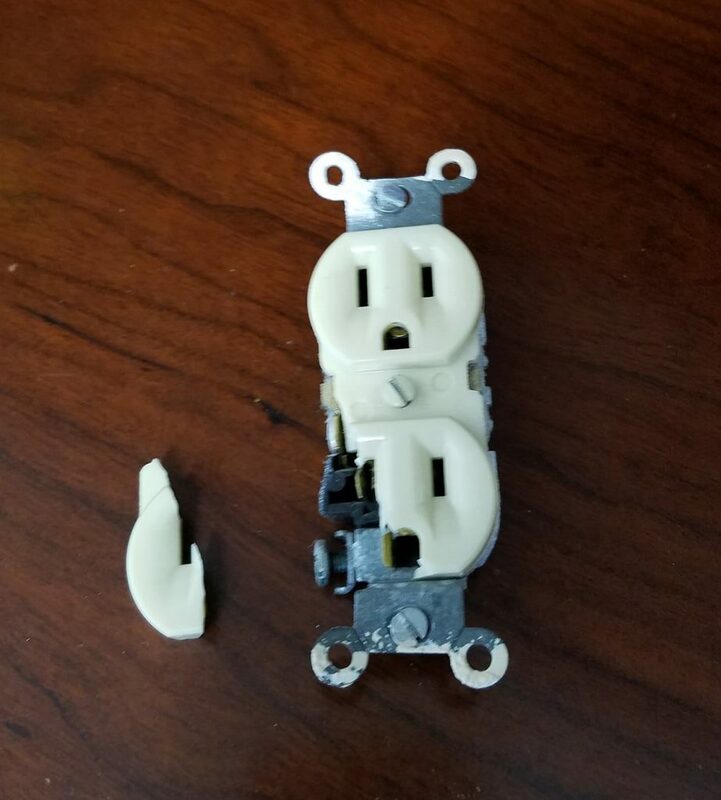 This discoloration is a strong indication that the outlet is damaged and failing. If you plug in an appliance and feel a shock, it’s a sign the outlet is not functioning properly. This shocking sensation can be an clear indication that the outlet is sending too much current through the wire, which could cause the appliance to ignite. Burning smells can be one of the most common signs of an impeding electrical fire. Electrical smoke is pungent, acrid, and unmistakable. If you smell something burning like this, you should immediately call the fire department and turn off the breaker if it hasn’t already tripped. Should you hear crackling or sizzling sounds coming from your outlets, it’s an indication that it’s sparking and shorting. If you notice these sounds, contact an electrician right away and stop using the outlet. These odd sounds coming from your electrical outlets should never be ignored. Do the lights flicker? Are your appliances turning off and on at random? Flickering electricity can signify a variety of issues such as faulty wiring. While not electrical plug or outlet specific, these problems can be occurring in the walls of the your home’s structure. If this happens you should ask a professional electrician to inspect your home. Your electrical outlets should not ever feel hot to the touch. If you find that your outlet is warm, you should unplug all devices and have it inspected. A hot outlet is a sign that it is failing and could start on fire if you continue to use it.